I'm pretty sure it was just Friday. Monday has just kinda snuck up on me. And there is no use fighting it, because its not going anywhere until tomorrow. The only good thing about Mondays is that my menu is planned out and there is one less thing to worry about. It might sound silly, but it really does make the days run smoother. So its not the most interesting week. Everything is really simple and can be prepped early to make cooking super easy. I am back to having trouble eating. Everything hurts and nothing sounds good. I think I will bake up some english muffin bread and live off toast and smoothies this week. I am kinda looking forward to the meatballs though. So here's to hoping Ive gotten myself straight by hump day! But first, coffee. Then I need to wake the fire breathing dragons boys and get them fed and off to school before cleaning the mess that is my house. I kinda hid from Sunday and did a whole lot of nothing. It was nice, but now I have double duty. I'd love to hear whats on your menu for the week? Still working on it and need some ideas? 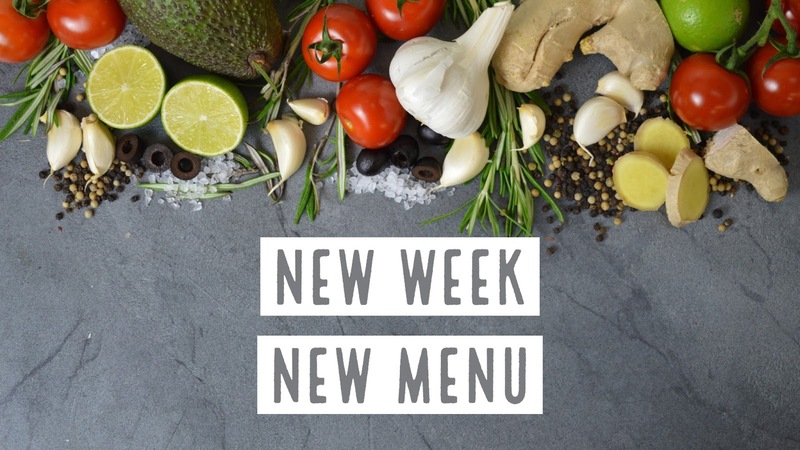 Click the Menu Plan Monday button and see what others are cooking up this week!